Fully redesigned, the 2018 Honda Accord delivers a unique and modern driving experience. 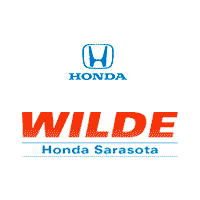 Check it out today near Bradenton at Go Wilde Honda, your Lakewood Ranch area Honda dealer in Sarasota. What Sets the 2018 Honda Accord LX CVT Apart? Come take the Honda Accord LX CVT or any of the other trims for a test drive near Venice today at Go Wilde Honda, and contact us with any questions. We hope to see you soon!